The historiography on political incarceration during the modern colonial period from the late 19th century to the end of empire has demonstrated a remarkable dynamic over the last decades, in both theoretical and empirical terms. One of the best studied cases being South Africa and the establishment of the first political detention camps on African soil following the Boer War. Research on other European colonial contexts in British, French, Dutch, Belgian and Italian empires also revealed the frequent use of prison camps in Africa and Asia for the incarceration of members of opposition groups, persecuted in metropolitan and colonial contexts. In the case of the Portuguese Third Empire, the incarceration of political prisoners was strongly identified with the metropolitan opposition to the Military Dictatorship and Estado Novo which created special prison camps for that purpose in the then colonies. 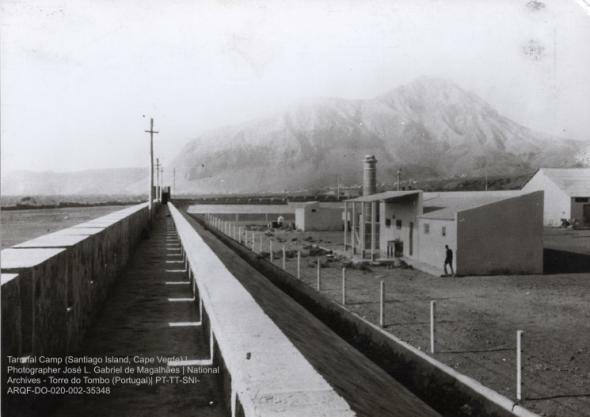 The Tarrafal prison camp on the island of Santiago in the Cape Verde Islands, being the most notorious, was the subject of numerous international denunciations as the first Portuguese concentration camp. Although Africans from the Portuguese colonies were also imprisoned at Tarrafal, its association with metropolitan politics bestowed a strong symbolism and major visibility upon the camp. Except for a few recent studies, Portuguese historiography has mainly focused on metropolitan connections rather than colonial perspectives. Thus, the history of Portuguese colonial prisons in the 20th century remains largely unexplored. The growing historiography of colonial incarceration has tended to focus mainly on other Europeans empires in Africa and Asia. The Institute of Contemporary History (IHC/NOVA University) and the Aljube Museum – Resistance and Freedom wish to mark the 80th anniversary of the inauguration of the Tarrafal prison camp in Cape Verde by organising a conference on the historiography of political incarceration in European colonies in the 20thcentury. The organizers welcome new research on the prisons and prisoner camps in former British, French, Dutch, Belgian, German and Portuguese colonial territories, as well as comparative and transnational perspectives on colonial incarceration in general. A selection of conference papers will be included in a special issue of an international peer reviewed journal. The International Conference will take place in Lisbon, 21-22-23 July 2016.